1928-53 Exhaust Deflector with no embossed logo. This is a great accessory that helps to deflect exhaust soot & smoke from the rear of your vehicle. 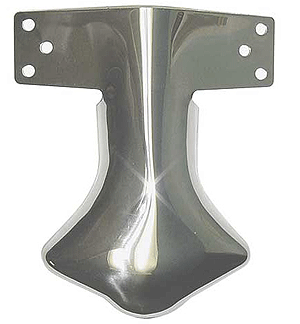 It will fit up to a 2-1/2" diameter tail pipe and is made from durable stainless steel for a long lasting finish.